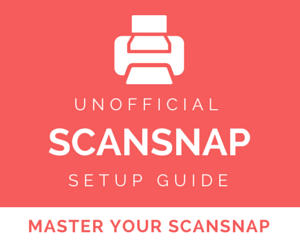 Many scanners let you choose between scanning one-PDF-per-page or scanning all the pages into one big PDF. 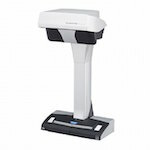 The scanner I use does. 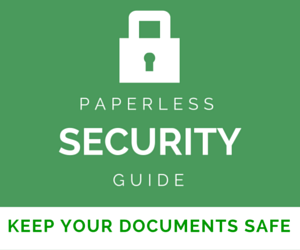 However, what happens when you have multiple PDFs that really should go in one document? How do you combine PDFs together? Already built into the OS and not require any additional software. Repeatable so I only have to set it up once and can use it again and again. We’re going to use a Mac OS X tool called Automator to set this up. If you have seen my How to Split PDFs tutorial, this is basically the reverse. In Finder, go to Applications and then start Automator. In the window that pops up, highlight Service and then hit Choose. At the top of the window at the right, change the Service receives selected dropdown to PDF files. I set the in dropdown to Finder.app. I haven’t tested it in other applications. Now in the Library section on the left, click on Utilities and then find Set Value of Variable. Drag it to the main window on the right. In the Variable dropdown, choose New variable… and call it originalPDFs. Here’s what the first rule looks like so far. We are doing this step because of a weird way Automator works. It doesn’t make it easy to save the resulting PDF to the same folder as the original. I could prompt the user to choose a path, but I wanted to make it automatic so we have to get a bit geeky. Note: if you’re an Automator expert and know a better way to do this, please leave a comment! Still in the Utilities section of the Library on the left, find Run AppleScript. Drag it to the main window under our last step. Now in the Utilities section of the Library, find our old friend Set Value of Variable and (you guessed it) drag it into the main window under our last step. In the Variable dropdown, choose New Variable… and give your new variable a name of containerPath. Now it’s time to do the combining! 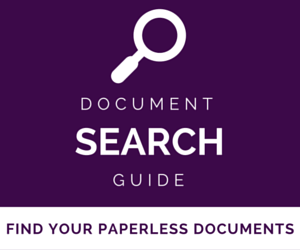 First, we want to get the list of PDFs that we had saved back in the first step. In Library -> Utilities, drag Get Value of Variable to the main window under our last step. In the Variable dropdown, choose originalPDFs. Right under the Variable dropdown there is an Options button. Hit that and check Ignore this action’s input. Now in Library on the right, choose PDFs. Find Combine PDF Pages and drag it under the last step. Next, in Library on the right, choose Files & Folders. Find Rename Finder Items and drag it under the last step. It will pop up a message asking you if you want to preserve an extra copy. We don’t need that, so hit Don’t Add. In the Rename Finder Items box, change the dropdown to Name Single Item. Then hit the Options button and check Show this action when the workflow runs. This will let name the new PDF. Next, also in Files & Folders, drag Move Finder Items under the last step. 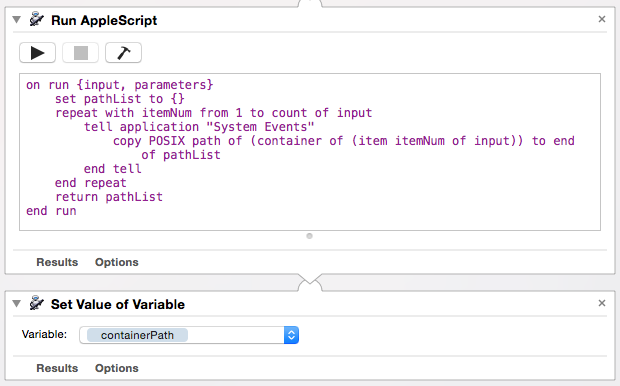 In the Variable window at the bottom of your screen, find your containerPath variable. Drag it up on top of the To dropdown. Go to File > Save and give your new service a name. I’ll call mine Combine PDFs. You have just created a Service. This means that if you right-click a group of PDFs in the Finder, you can combine them right from there. Let’s try it. Find a group of PDFs on your Mac, highlight them, and right-click. Choose the Services menu near the bottom. If all went well, you should see Combine PDFs (or whatever you called your Service) in the list. Choose it. It will think for a moment and then pop up a box where you can give the new PDF a name. I just called mine “Combined”. Boom. I now have a PDF called Combined.pdf that contains all the selected PDFs. Best of all, since I went through this trouble to set it up as a Service, going forward whenever I need to combine PDFs, I just have to right-click on them. If you don’t want to go through the hassle of setting this all up, you are welcome to use mine. To use it, download the file to your computer and double-click it to Unzip it. Once that window opens up, drag the CombinePDF.workflow file there. This article was originally written in August 2010. It was updated in September 2015 for OS X Yosemite and to improve the workflow. Very informative! Thanks for showing clearly how to combine PDF. I used to combine PDF with Acethinker PDF writer, free and works perfect. It is a cloud based software to merge PDF without install any software in your device. Share it here as an alternative method. It’s 9 years later but this is still very useful. The beginning step has changed a little (the option is now “Quick Service,” which can be used as a system service) but everything else works like a charm. Automator is deceptive because you might think it is straightforward (I thought I could just create a service using “Combine PDF Pages”) but in fact it is anything but. THANKS. Thank you! Has me thinking about how else I might use this tool. This worked like a charm, except that the documents rotated. It’s easy enough to rotate in Reader, but I’d like to share this with folks in a way that they don’t have to take the step. Ideas? I was using this succesfully until Sierra. It is not longer working on High Sierra. Any idea how to fix it? Thanks! This is killer awesome. Have been looking for a way to combine PDFs since I do this twice a month with multiple PDF files. Thanks so much for the tutorial and files. THANK YOU! However, I sometimes get this error with certain PDFs. Does anybody have any ideas? I think it may have something to do with the fact that if these PDFs are opened in Preview, I can’t Print to PDF. Perhaps there is a permissions error? Thank you very much !!! 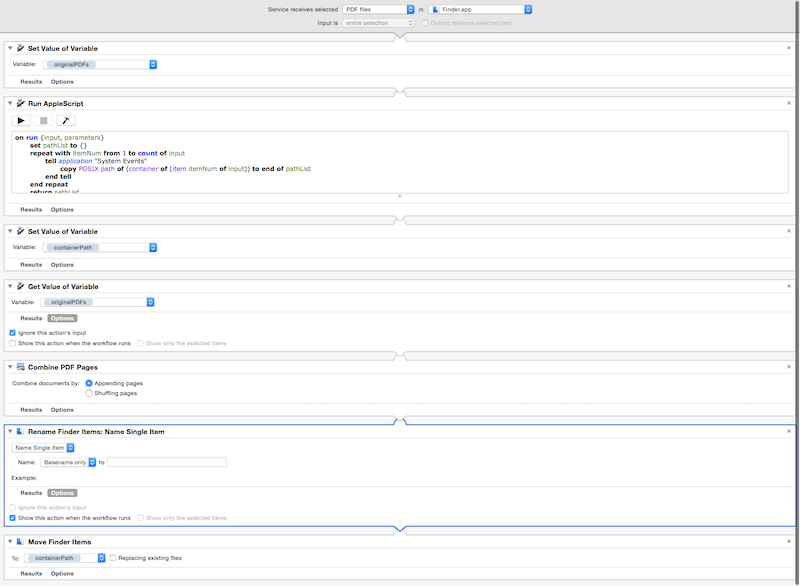 It’s amazing how many stuff we can do with automator ! Thanks a lot. This was really helpful. especially the compressed file. you made it much easier for me. thanks again. One question – how do I put this into a loop, i.e. tell the automator function to go through one folder after the other? so that at the beginning of the whole procedure, instead of choosing the pdf files to combine, I choose the folders in which the automator should combine (all) the individual pdfs and save the result in the respective folder? I tried to create a service following your instructions myself, but it didn’t work. I downloaded your zip file and it works fine. Didn’t know where I did wrong lol. In the past I have been using “Combine PDF pages” from Library directly, but I was frustrated that it doesn’t append pages by name. For example, when I rename all my PDF pages I want to combine from 1 to 100, which is the order I intend, automator doesn’t combine from 1 to 100. Instead it combines in such an order as 1, 11, 12…2, 21…. It is the same if I rename my files 001, 002, …100. I don’t understand its logic and don’t know how to circumvent this seemingly simple problem. Am I missing some easy steps? This has been working great. I have a question: If I have documents that have an odd number of pages and I want to make them all even before combining them. Is there a way for me to have the program identify the files that have odd number of pages and have them add a page at the end automatically, then proceed to combine the pdf? or will I need to do this manually? Wow! This is super useful and has just saved me a ton of time. I can’t wait to play around with automator more. So THAT’s what Automator is good for!!! Some steps are similar and I was glad I had already gone through these steps as they made it easier to locate certain actions required. Anyway, thanks for your tutorial. This is one of the most helpful scripts I am using! I have a question. I have some pages that I’ve made comments on (Draw Free Form), and those free form comments are not coming across into the combined PDF. Is there another setting that I need to make so that they are included? Thank you. This is a great benefit. I downloaded this to combine pdf cover page’s to separate pdf document’s. The first couple times it worked perfectly. Now, it keeps putting the cover page at the end of the document rather than the beginning. I’m selecting the document’s in order using the command key, just in case that was the issue, but nothing seems to change the outcome. Has anyone else experienced this issue, or does anyone have any insight that may help? This is great! My attempt at building the script didn’t work, so I am glad you have it available as a Zip file. Because I have found combining things in Preview to be frustrating, and whenever I scan something, any time I have to stop results in multiple documents. Consequently this is exactly what I was looking for. so helpful, thank you very much! Much faster and more efficient! Thanks! Is there say a way to take 3 single pdf pages and put them onto one pdf. They are approx 8.5×3 so I don’t waste paper when printing? 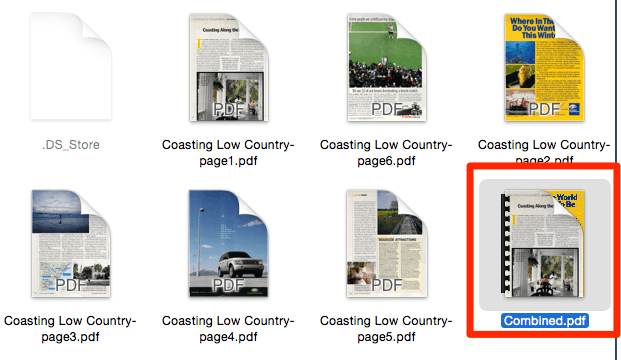 You may have figured this out already but if you open any one of the PDF pages you want to combine and then change the view to show the Thumbnails (Opt+Cmd+2) on the side, you can drag pages into the thumbnail frame that way. The PDF files you drag in don’t have to be open, but you can do it that way as well. Hope that helps. Brilliant! My sincerest thanks, Brooks, for saving me from hours of former frustration with a ‘sometimes-effective-combining-function” in Preview. Yours has been one of the most practical and helpful blogs I’ve perused since acquiring a Macbook. Brilliant, and far better than trying to combine PDFs using Acrobat Pro DC on a Mac. Happy New Year, and please keep up the good work. Hi, this is so so good. Thank you so much for putting this up. I don’t have to do this often, but now it is so simple and easy. Once again thank you for sharing your knowledge. Thank you so much for this. I tried replicating yours, but I’m entirely new to this. Used the version you had for download and it worked like a charm. Cheers! Same for me! So strange, there is no option at all for “Services” when I select my PDF’s! Is there a way to view Applescript coding for this automator task? I want to compile dozens of books, one after the other, basically using this process in the applescript program. Combining the PDF’s with Automator is fantastic! Is there a way to do this combining .csv files created thru ScanReceipt? I’ve been trying to come up with an easier way to merg the .csv files I’ve created. I’m not comfortable scanning all my receipts into Scan Receipt and leaving them there until I’m ready to do my taxes. Thanks for any help you can give! Hi! Great idea! I am doing this right now! The problem I seem to have run into, is that it only works up to 1000 items. I am trying to merge a 1166 page book, that was scanned one page per pdf. Any ideas to increase the 1000 file merge limit? Thanks in advance! Do two separate combinations of under 1000 pages (e.g., two 583 page combos), then merge your two new PDFs. I realised this solution after I submitted the comment :-). I was just surprised by the limit. This is possibly the most helpful thing I’ve seen all week. SO MUCH TIME SAVED, YET SO EASY. I also had no idea about the Automator tool at all, so this was a really cool introduction to it. Thanks so much for this tutorial! Doesn’t work for me in Yosemite. No “save as”…. Rename saves to Icloud. I must be really tired….tried it again and it works! One of the things I have been really missing since leaving Windows was a set of utilities called PDFill FREE PDF Tools, which I used mainly to merge PDFs. I knew you can do this using Preview, but, let’s face it, that’s kind of a pain. I teach, so I have to combine PDFs all the time. This was a great tip, and more importantly, I have learned a world of possible actions I can create using the amazing Automator, which I have used before, but I am much more familiar with now through your tutorial. Many thanks to both you and George Harito. 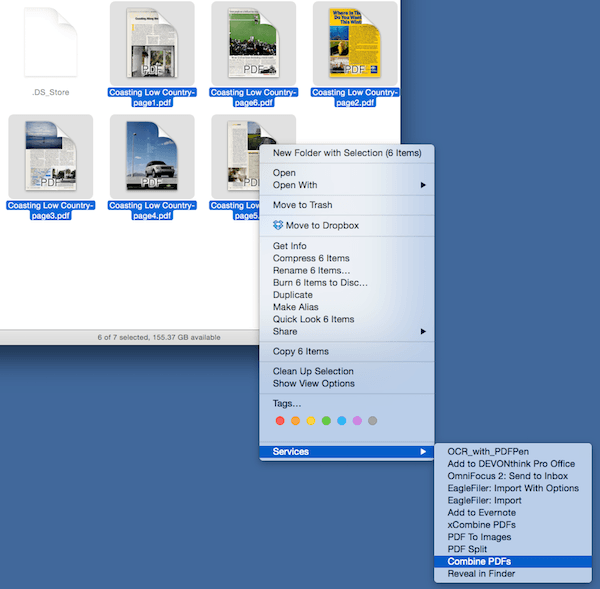 When I go to Finder, right click my documents, I have two combine PDF files options. They both are under different names. How do I delete one of them? Thanks. Hey thanks this was a great solution. I am interleaving Simplex scanned pages with a second set of pages odds then evens. You are a LIFE SAVER! I had spent hours trying to figure this out. Thank you for posting this. Virtual hug! Great Rory, glad it helped! I got it to combine the pdfs. The only problem is I lose the color and grayscale. Is there a way to fix this? Wow, this was so easy and it worked like a dream. Really saved me hours! Thank you for taking the time to post. 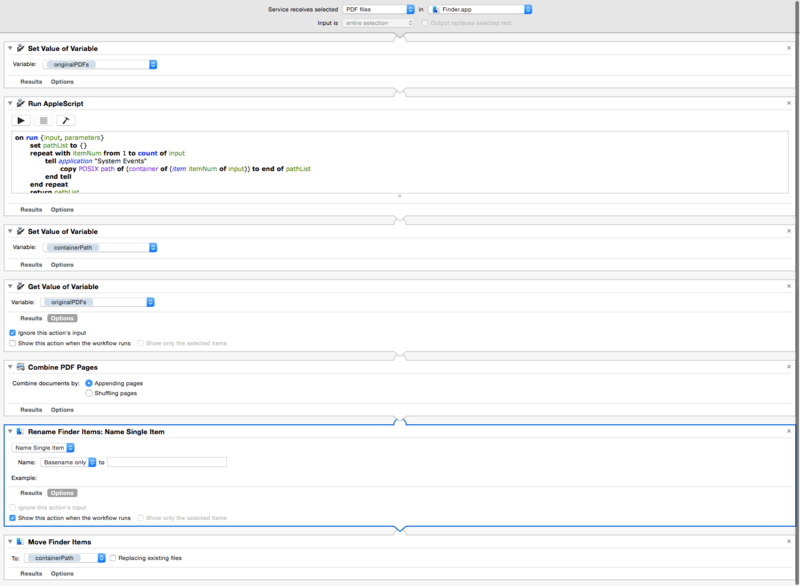 And, now I am intrigued by Automator – any other ideas for other things to automate? It worked!!!!! Nothing I do ever works, so I am a happy bunny… Yeah! I just want to say thank you so much for posting this tutorial! It’s been a huge help for me. Thank you! This just changed my life! I have never even heard of automator, and I just created a PDF Splitter & a service to combine PDFs. Thanks for the super easy-to-follow steps! Awesome JMC! There's definitely a lot of power on the Mac when it comes to automating stuff. Glad you're started down the path. This worked great. I can make any service i want now. Thank you, Thank you, Thank you! Thanks so so much! Any tips for how integrating this into Alfred? Ohhh that would be tempting to figure out. I'll see what I can do someday. Thank you! you saved my Friday! This is a PERFECT walk-through to combine PDF files on my mac. Wow. Thank you x10000000!!!! Fantastic! 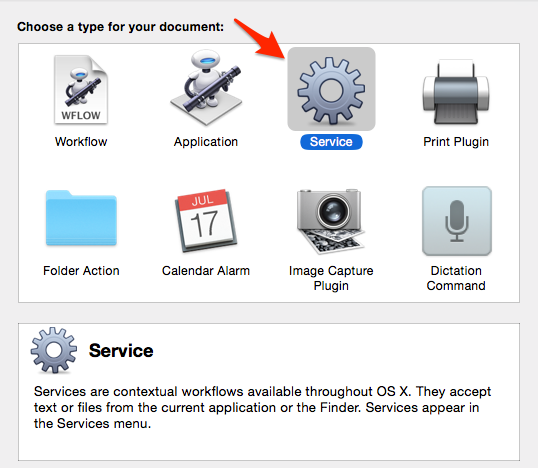 I didn't know such a thing (create Services with Automator) existed! It worked perfectly!!! Thanks a lot!!!! Awesome thanks for the report jay! this helped me a lot.big thanks! Thank you so much for this very helpful tutorial! I TA for a professor who doesn't understand technology and gives me 50 pages documents in individual .pdfs. This was a lifesaver. Worked great, thanks for the post! this only worked for me after where it says "Choose a template for your workflow" i chose APPLICATION instead of SERVICE, then i followed the rest of the steps as is. Thanks for this, very clear and very helpful! No problem, thanks for your note! This made my life so much easier. Thanks a lot! Awesome Ben, glad it helped! Fantastic!! This is just awesome! I have been looking for a way to combine PDF's for over a week. And I just needed it for one 3 page file. Thanks so much for this tutorial! Only thing I found that works so far!! This worked amazingly well, thanks! thank you thank you thank you……. Glad it helped Nish! Thanks for letting me know. Hey brooks great post! 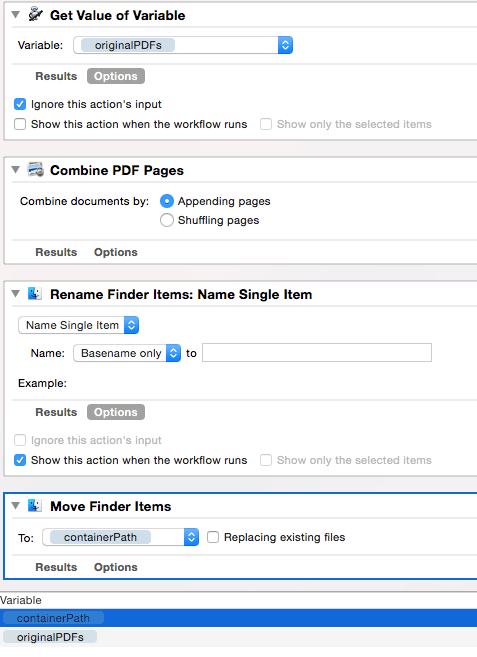 I'm trying to create a very similar automator script using the Folder Actions option, so that every time I add a new PDF (1page) to a certain folder it automatically combines with a certain PDF (2 page) doc, to make a 3 page PDF which I can then rename etc as above. The issue I'm having is it puts my 1 page doc in the middle of the other 2 pages, so its out of order. Any tips on setting this right? I just discovered automator and solved my problem, thank you! Yay hubbub, thanks for letting me know! Wow, thank you very much, exactly what I needed and did not have to pay Adobe for the privilege. Now that's the kind of comment I like. No problem Harper, glad it helped. That is awesome thankyou very much. Not being able to right-click and combine PDFs was one shortfall I have found with Apple. Now fixed, thanks. Great Scottie, so glad it helped! Thank you very much for the very useful instructions! Saved so much time and effort. Thank you. Great thanks Aubrey glad it helped! Embiggen is a perfectly cromulent word, and this is a superbly cromulent tutorial! Thanks for helping me try Automator, it's kinda cool. And my PDF files go into my new document in the correct order! All I had to do is sort by Date Modified! Oh happy day! Like many Windows users, they have to resort to the 500 lb gorilla Adobe Acrobat. Luckily Mac users have this available to them if they are using Snow Leopard. Great post. No problem Brian, glad it helped! Thank you so much. Very clearly explained and helpful. This won't work on Tiger. I had to combine over 60 pdf files and I used Batch PDF Merger to do the trick. SImple, easy and best of all, I was able to arrange the files in any order…nice! 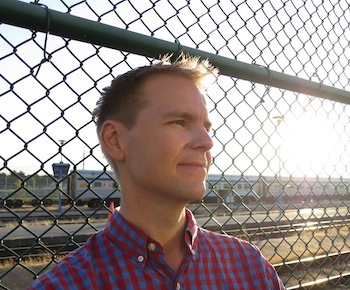 This post is awesome and saved me about 2 hours of dragging and dropping… thank you!! Wow thanks so much Hannah. Glad it helped! 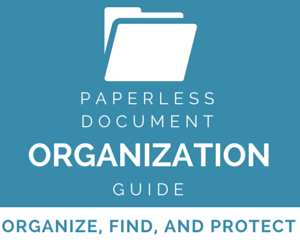 Thanks for the link to my blog post about combining PDF documents. I must admit, at the time of writing it, I hadn't sorted out all the little issues with my workflow, so I can see how it may be confusing to read through and "play at home" so to speak for those who aren't confident with using Automator. I'm glad my post inspired you, and it's great that you have taken the initiative to make things a little clearer. No worries George, it was a great post and thanks again.